The Walker Allure 280 is a new modern design. 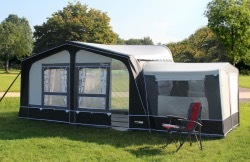 This 280 cm deep awning is suitable for residential and all season use as well as for those short breaks. The Walker Atrium 300 Easy-Door awning is the result of continuous innovation. The new Atrium 300 Easy-Door, which enables you to select the position of entrance doors on the front. The awning's side walls are fitted with additional windows to give that feeling of extra interior light and space, even when fitted with an annexe. fresh colour schemes with innovative design and heavy duty Ten Cate seasonal pitch construction for the walls and roof combine to produce an awning that sets the pace for lasting style. The new Walker Concept is a fantastic new 'Heavy Duty' awning made of a tough PVC "All Weather" material; both sides coated and washable. The Walker Concept is ideal for SEASONAL PITCH & ALL-SEASON use. The Ellips 280 is a modern designed awning and is supplied as standard with a combi 25/28 mm steel frame. In combination with the latest Ten Cate high quality coated polyester, the Ellips 280 is suitable for residential caravanning as well as those short breaks. The Walker Fusion 240 features the Walker Easy-Door concept: interchangeable front panels that enable you to choose between 2 positions for the door. 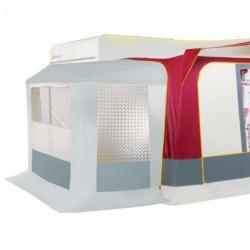 This is an attractive and well designed caravan awning giving the caravanner that little extra quality and design. The Fusion is available with the choice of a Steel, Powergrip steel, Powergrip Alloy or Glass-fibre frames. The Palladium 350 Easy-Door awning in the latest anthracite/champagne colour combination and is specially designed for residential & seasonal pitch caravanning. Construction is from heavy duty Ten Cate all season material, giving a depth of 350 cm. 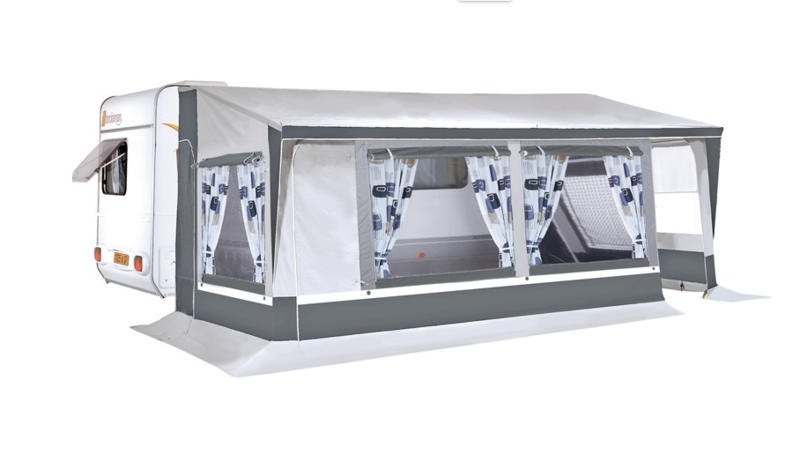 The front of the awning features 2 interchangeable panels with the ‘Easy-Door' system. Front panels can be moved back from the front of the awning to give a 240 cm depth with 110 cm canopy. You can add an inside wall as an optional extra, making it simple to create a spacious L-shaped living area. Walker's Pioneer ‘Easy-Door' has a really modern look. 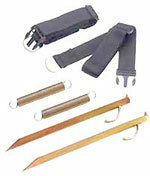 The tried and tested concept of easy zip out panels remains popular. Exchanging the front walls from left to right enables you to choose between 2 positions for the door, offering more ways to create your ideal awning layout. The Walker Signum delivers great design and colours. The anthracite/ + ice blue colour scheme and innovative design makes the new Walker Signum stand out from the crowd. The roof and walls are made of high quality coated Ten Cate polyester. The striking appearance of the Walker Spectrum-350 is set off by a modern colour combination of anthracite/ice blue. This long-lasting Seasonal Pitch awning is made with Heavy Quality Ten Cate All Season material. The front wall has 2 interchangeable panels, allowing the position of the entrance doorway to be changed. The front wall can also be moved to give a choice of 350cm depth or 240cm depth with a canopy, thus providing you with both an indoor and outdoor sheltered area. Almost 50% discount on the last few remaining 2014 Spectrums - Almost HALF-PRICE.